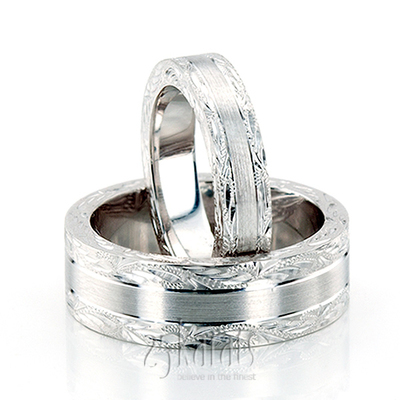 Two souls become one; this is what marriage is. 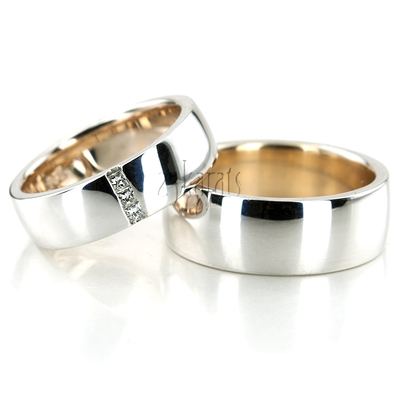 Now you can show your One Love by wearing one of our gorgeous His & Hers matching sets! 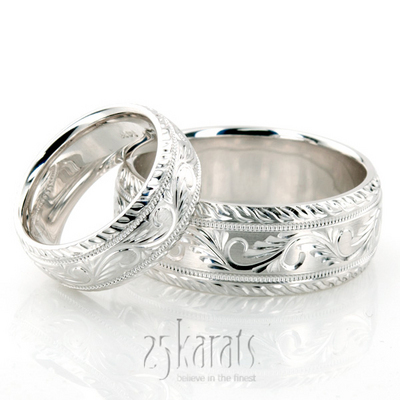 Diamond sets, handmade selections, or simple yet lovely designs… all are available as a matching set for you and your loved one at 25karats.com. 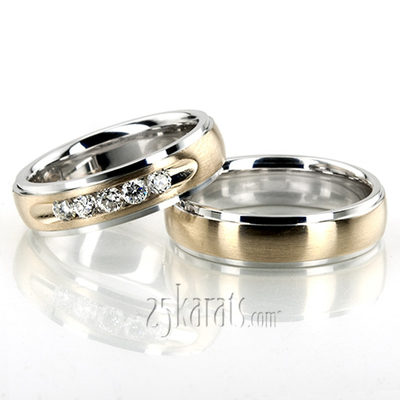 Today more and more couples want to have matching wedding bands, because they want to show their unity in perfect harmony with their rings too. 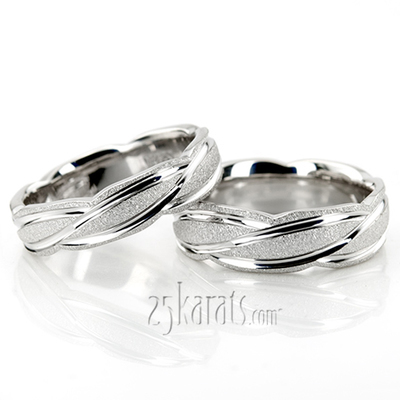 Different styles create different sets, so there is always a perfect choice for you! 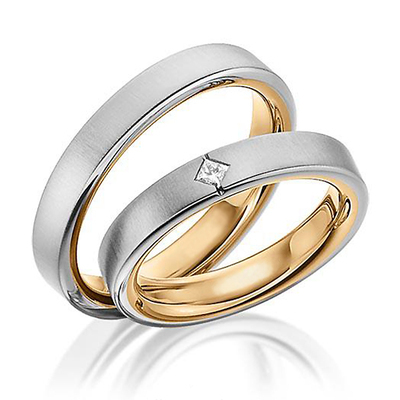 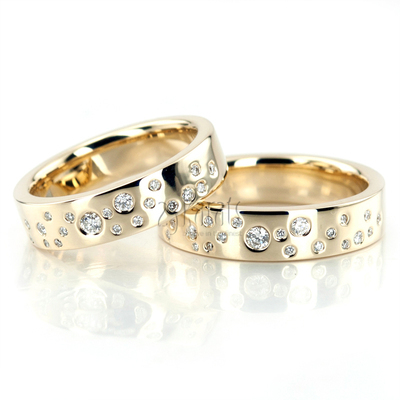 You can go for the sets as they are, or you can pick different widths or even the same width for both bands. 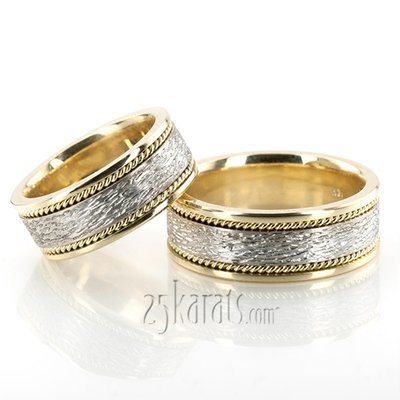 We make it easier for you to choose with our suggested widths for him and her. 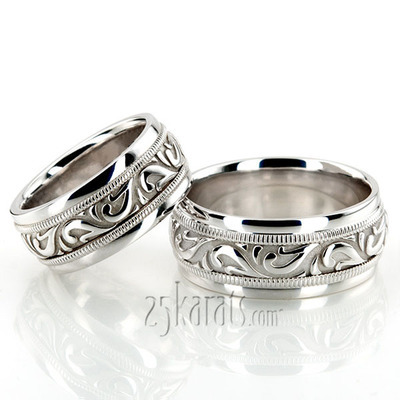 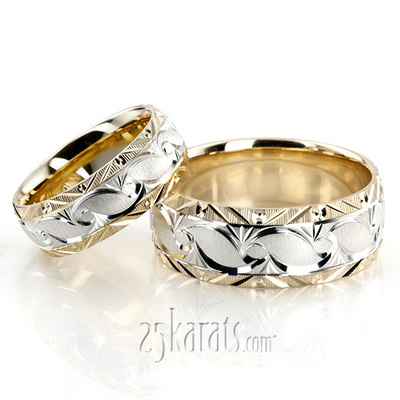 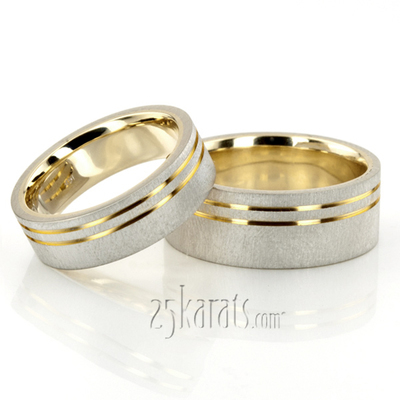 Your matching set should be as compatible as you are as a couple. 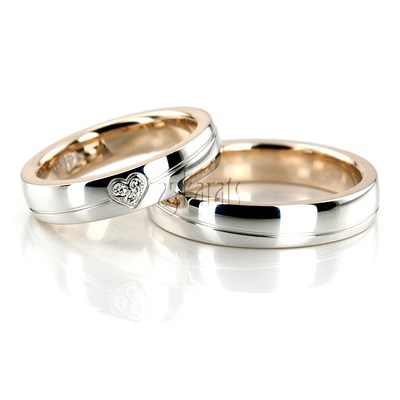 Our expert manufacturers take great care to make sure your set has the same feeling of oneness. 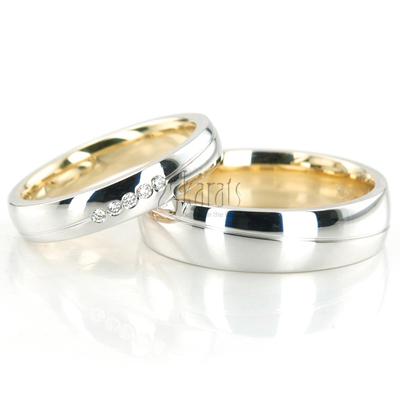 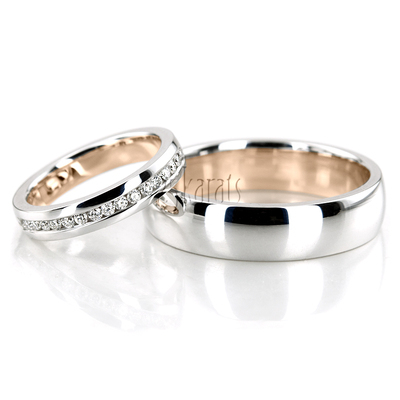 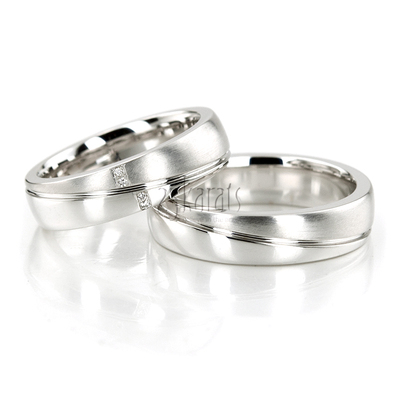 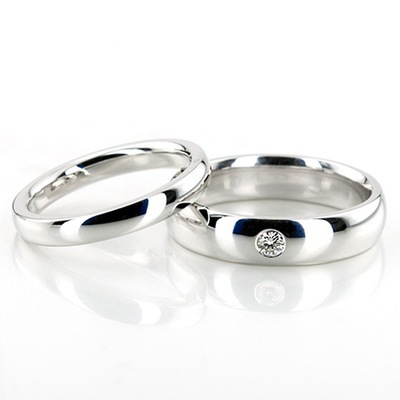 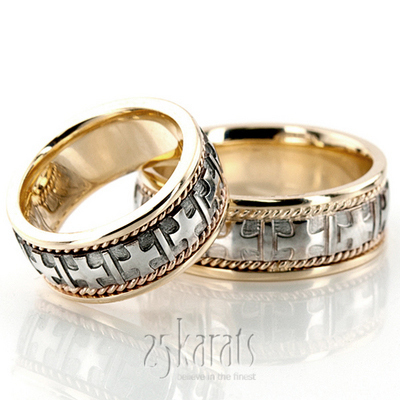 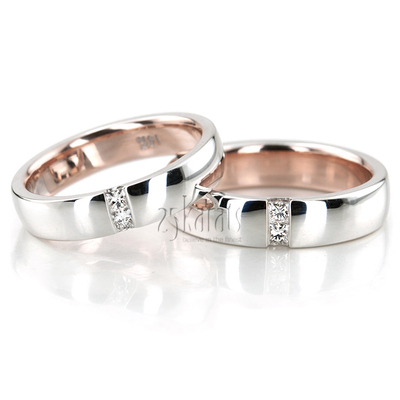 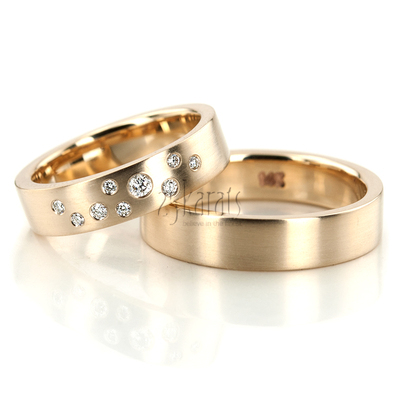 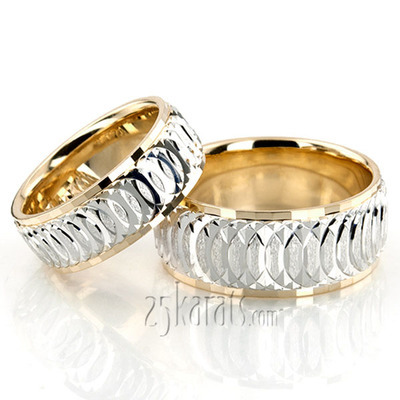 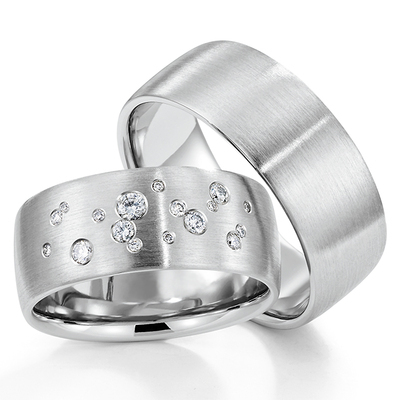 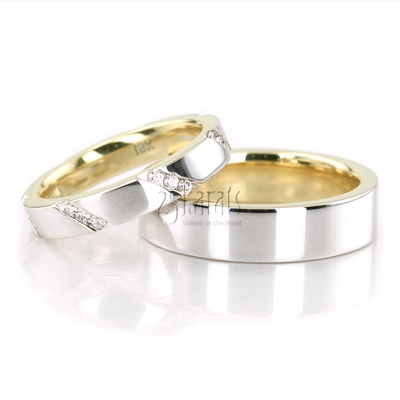 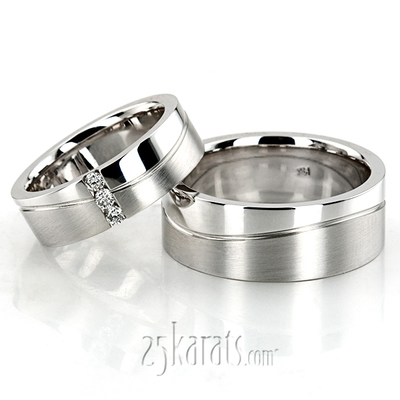 Every detail is checked to make sure you receive the finest quality His & Hers wedding bands. 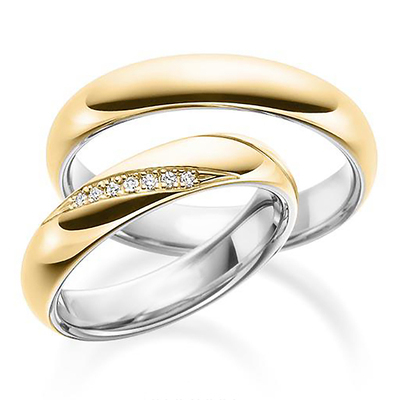 Our matching bands are available in 14K, 18K white, yellow, and Two-tone Gold, also Platinum and, for most designs, Palladium. 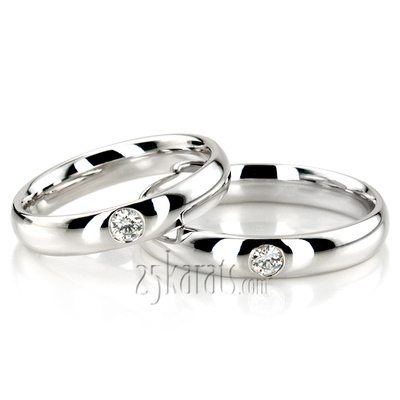 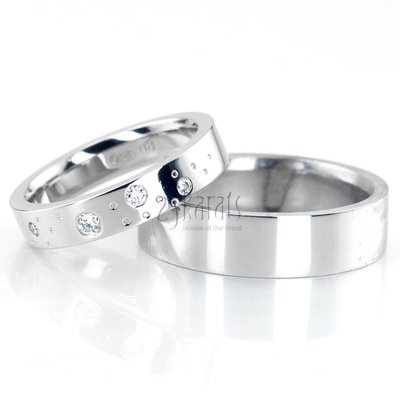 You can request to get other styles as His & Hers set too. 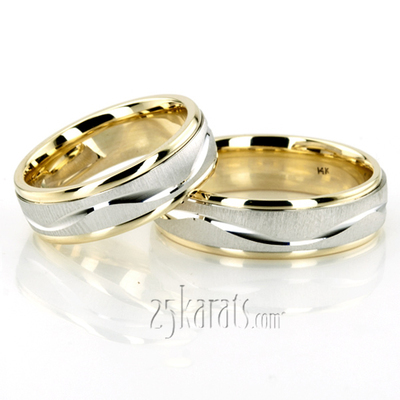 And our professional staff is always here to help you with any questions you have in mind. 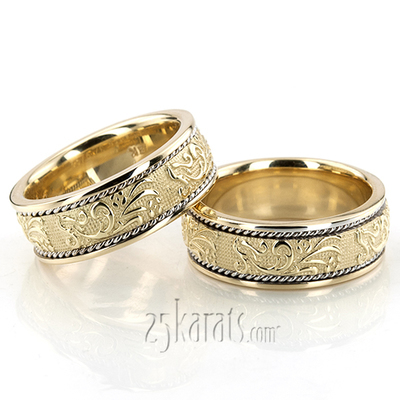 Now it’s time to get that lovely matching set you always dreamed of. 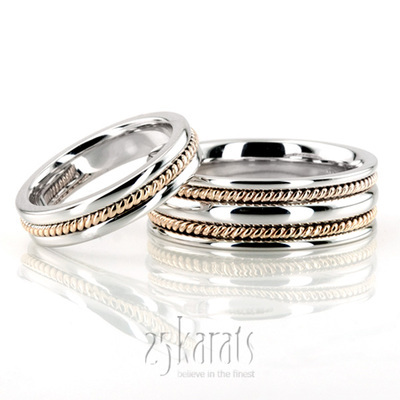 25karats will help you make your eternal commitment symbolized in an eternal harmony with our wide His & Hers wedding ring collection.